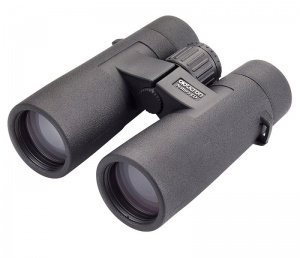 Aimed at the wildlife enthusiast or semi-professional looking for a lightweight, robust and reliable 42mm binocular, the Natura BGA ED 10x42 are 100% Made in Japan and supplied with a 30 year guarantee. Featuring wide-field optics for easy location and tracking, extra low dispersion ED glass objectives for super bright images, they deliver benchmark quality, performance and ergonomics. Weighing just 670g, the Natura BGA ED 10x42 uses a micro hinged body for easy grip and positive handling with or without gloves and can be used one handed if necessary.